Adler Planetarium founder Max Adler’s former Kenwood home has plenty of space and a price tag that’ll have some seeing stars. The 10-bedroom mansion on South Greenwood Avenue and East 49th Street sold this month for $3.95 million, $1 million below the listed price. Just one year away from its 100th birthday, the house has tremendous historical value, according to Susan O’Connor Davis, author of Chicago’s Historic Hyde Park. 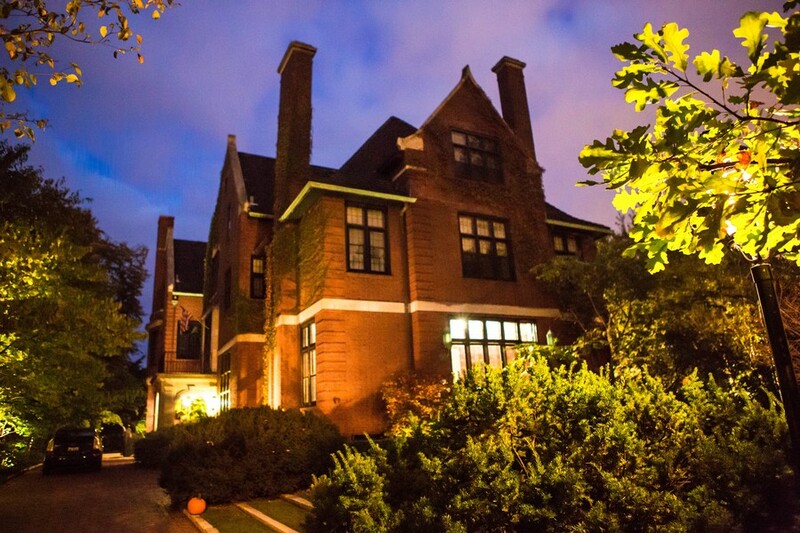 Built in 1916, the Beaux Arts mansion housed two generations of Adlers and two other families. The last owners spent $3 million in renovations over 23 years to restore the house to its original condition. Many of the mansion’s original features have been preserved, including leaded glass windows, woodwork details, hidden closets, and marble and wood fireplaces. In lieu of a planetarium, the 12,500-square-foot mansion has three solariums, according to the Chicago Tribune. An active philanthropist and senior officer of Sears, Roebuck and Co., Adler is just one of many prominent people who have lived in the historic Kenwood neighborhood. The neighborhood has been home to business executives, University faculty, professional athletes, and even the President of the United States. Kenwood and Hyde Park have several claims to architectural fame, most famously in Frank Lloyd Wright’s Robie House and I.M. Pei’s 1961 University Park Condominiums on the 1400 block of East 55th Street. In addition, Wright’s Heller House on East 51st Street and South Woodlawn Avenue has been on the market since January 2012, with an asking price of $2.4 million. The seven-bedroom house designed in 1897 is known for being the experimental precursor to the Robie House. Hyde Park Preservation Committee chairman Jack Spicer attributes the area’s retention of historic homes to the residents’ appreciation of its history, as well as their tendency to remain here. “Hyde Park is a relatively stable neighborhood. It’s not particularly nomadic,” he said. This permanence may reflect the original intent of the area, which entrepreneur and lawyer Paul Cornell established as a retreat from the city in the 1850s.